First, let us state the obvious: Lawrence Block is one of the greatest American writers of noir who ever lived. His name already ranks up there with the all-time greats: Chandler, Cain, Goodis, Woolrich, Thompson, Evan Hunter/Ed McBain. If there was a necessarily dark Noir Hall of Fame, Block’s work would inhabit an entire wing. CATCH AND RELEASE shows us yet again why this is true. Here is a collection of 16 short stories; 15 of them written since 2001 and one dating all the way back to the 1960s. There is also a short play that was adapted from a 1997 short story. Individually, they are all gems. Collectively, they provide not only an enjoyable read, but also a virtual definition of noir. But to call Block a great noir writer is to do him an injustice by limiting his incredible talent. First and foremost, Block is a great fiction writer. His writing is masterful in its ability to draw us into the story. 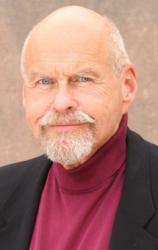 His conversational storytelling style provides an immediacy that wallops a powerful punch at each story’s payoff. And that is important to note. Block is telling great stories here. They just also happen to be terrifying noir. It starts in this collection with the cover art by Ken Laager, which depicts an attractive young woman in a tank top and shorts sticking her thumb out, hitching a ride. In her left hand is a handwritten sign that reads “EAST,” and her bags sit behind her left leg. Darkness seems about to envelop her. He considerately drives the woman to her destination and says to her as she leaves, “Not everyone is a catch and release fisherman…That’s probably something you ought to keep in mind.” Block writes: “She was still standing there, looking puzzled, while he put the SUV in gear and drove away.” But as relief flows over us, that is far from the end of the story. "What makes these stories truly terrifying is that, after setting up the seemingly routine, Block’s violence and story twists seem to explode off the page." We all --- to one degree or another --- lead typical, ordinary lives wedded to a safe routine. We might call it boring at times, but there is security in the routine. Noir reminds us that, like that hitchhiker in her pool of dim light, the darkness is closer than we think and can envelop us in a second when we least expect it. Hence the thrill of the genre: our collective sigh of relief that, as we might say about a bad dream, it was just a nightmare, only a story. Look, see, we are still okay. There is the light switch. Sure, noir reminds us, keep on thinking that. In Block’s stories, terror and evil strike suddenly out of the blue, like summer lightning in the night sky. A sniper’s bullet finds the throat of a woman picking apples. A friendly fellow offers to help you with your bags in the supermarket parking lot. All routine. Thieves finally hit the big score and then devour each other for it. A female tennis star plays her game to the best of her ability and does not notice the man staring at her in the crowd. A hardware store owner answers the bell ringing innocently above his door. A retired man likes to practice golf but not play the game. Whores pick up the wrong johns. Bad cops partner with even worse cops. An eccentric old woman is a hoarder. What makes these stories truly terrifying is that, after setting up the seemingly routine, Block’s violence and story twists seem to explode off the page. But the violence in his work is not gratuitous or sensational. Just a sentence or two and then leave the rest to our overheated imagination. And that is great writing. Block keeps you turning pages. In his dark, noir world, there is often no way out. That is what noir is: no way out. Is there justice in this world? Maybe, but it’s the not-so-traditional kind they taught us about in school. Society in noir does not really matter to these characters or stories; civilization is generally just one step above the eternal jungle. In Block’s dark universe, thieves do occasionally kill thieves and rapists get trapped by their own lust. Crime may not pay. But in the meantime, it takes a horrible toll upon its victims. And, to paraphrase another great mystery writer, what does it really matter come the Big Sleep? 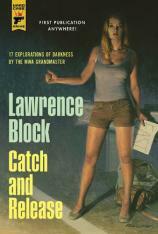 In CATCH AND RELEASE, Lawrence Block gives us stories that will keep you on the edge of your seat. This is an essential collection for his many fans. Few writers of any genre have been as prolific as Block over the last half-century. May he keep coming up with great fiction for years to come.